Honolulu: Univ. 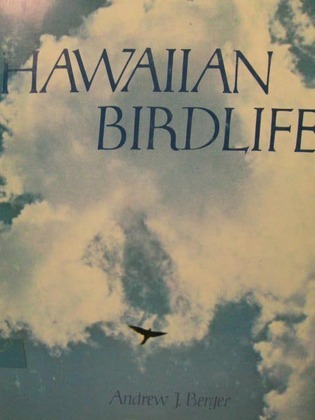 Of Hawaiia Press, 1981, Honolulu, 1981. Cloth. Dust Jacket used Illustrated (illustrator). 8vo - over 7¾" - 9¾" tall. Contains 67 various sized color plates and black & white illustrations. Birds.